New Stocks Bull or Deceptive Bear Market? 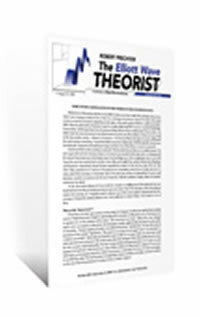 Find Out in This Free Elliott Wave Theorist! Don't miss out! This free issue is only available through March 21. Learn more about Prechter’s 12-page issue – it’s yours for free. Home values right now are falling in regions where they had been stable for three years... but, the Dow Industrials recently climbed above 12,000 for the first time since mid-2008. Unemployment is far too high and growth is nonexistent... but, the Federal Reserve will "do whatever it takes" to provide economic stimulus. Intense political discord is rising in the U.S., even as protests sweep across entire regions of the globe... but, bullish investor sentiment has swelled to historically high levels. These data points don't go well together. Still, facts are facts -- whether they "reconcile" or not. So, like every individual investor, you have choices to make. Obviously, what you choose depends greatly on what you believe the future holds. ... Meaning, you could have an astonishing stroke of luck, whereby you cross paths with a market pro who's been around for decades. Maybe even the sort of guy who was "keeping hourly charts by hand back in the 1970s." A guy like that will have just about seen it all. He could compare today's trend with the trends of the past 30 years, because he lived (and worked) through them. Heck, he'd know even more than that, since he learned the trade when he was young from people with decades of their own experience. You probably know where I'm going with this, so I'll spell it out. The Elliott Wave Theorist which published in February includes more of Robert Prechter's experience than I've ever read in a single issue -- all 30-plus years of it. What matters is that he uses his experience at a moment when it can do the most good, namely when investors are most vulnerable. After being "net sellers" for three years, the public is moving back into mutual funds. One simple chart in the above-mentioned Theorist reveals the perils of this trend. So, Prechter has done a comparative analysis of today's stock market, vs. four primary degree (long-term) examples from his own career. In this you'll see his familiarity with market history at the deepest level -- this includes some of the charts he did by hand years ago. An experienced voice is the most important when it's the hardest to hear -- and perhaps the least welcome. This doesn't have to be the case with you. Robert Prechter's analysis begins and ends with facts about the market -- the charts most of all. Download your copy of Robert Prechter's 12-page issue -- it's free.